We customize tours for following events. Please contact us for specific request on customizing a tour only for you. Naadam Festival is the most widely celebrated festival in Mongolia. The festival comprises the “Three Manly Sports”: wrestling, horse racing and archery. 1024 wrestlers compete on the green wrestling field-there is no time limit and no weight division. 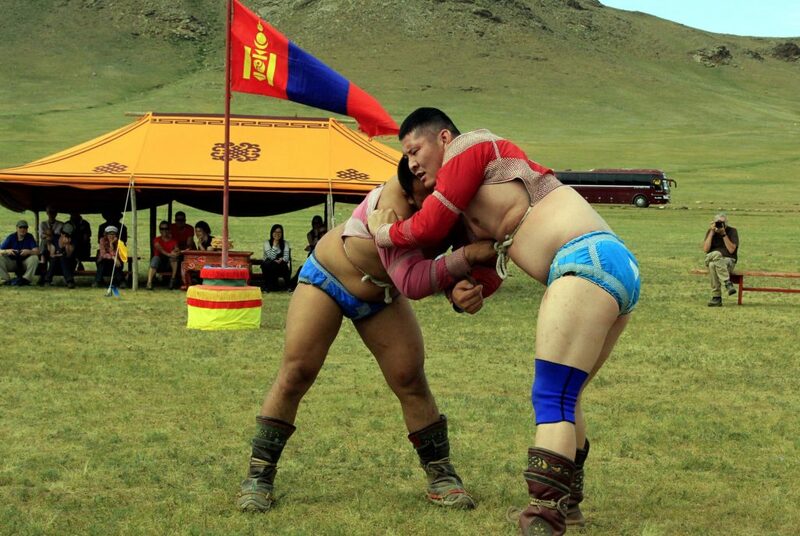 Mongolian wrestlers wear traditional Mongolian boots and special clothes for wrestling, Zodog-small open-fronted vest and Shuudag-shorts. There are 6 different categories of horse racing depending on the age of horses. The riders, both boys and girls are aged from 8 to 13 and the distance of the race ranges from 15-30kms. Archery, originating from the era of Genghis Khan is the oldest sport in Mongolia. Traditionally, this was only a men’s sport but nowadays both men and women compete in separate divisions. Male archers shoot on a 75m range while female archers shoot on a 60m range. Lunar New Year is celebrated the end of severe winter, the beginning of the spring and start of the new year by Lunar calendar. The celebration lasts for 3 days. Each family cleans every corner of the house and their yurt on the eve day. During the holiday, everyone wears new clothes and each family makes lots of food and beverages as a symbol of being clean, wealthy and happy in the coming year. In the morning of the first day, Mongolians make a special greeting “Zolgokh” which means younger person is showing their respect to the elders. 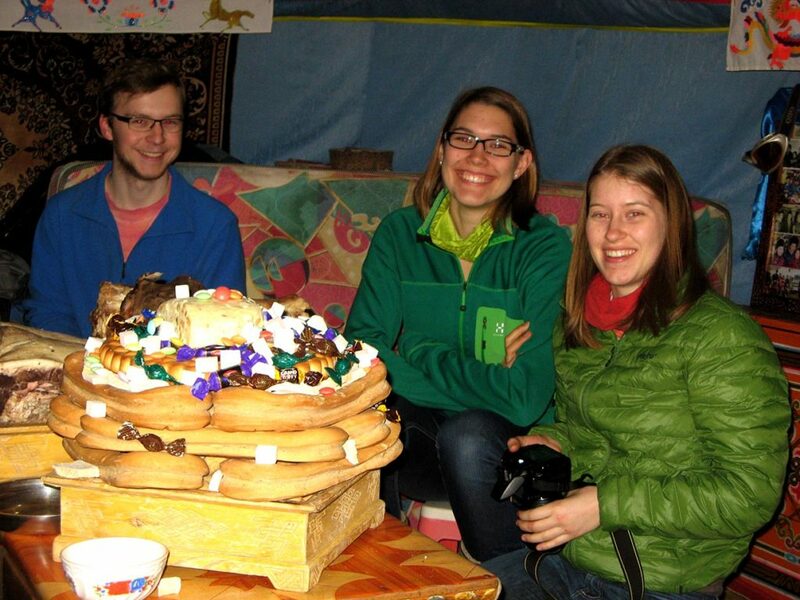 During these days Mongolians eat traditional cuisine and drink airag(fermented mare’s milk), and exchange gifts to each other especially to the children.